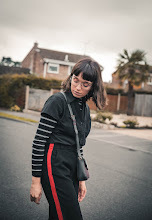 Ever since dyeing my hair pink I've been on the look out for products to 'maintain' and refresh the colour, without using a full-blown hair dye. 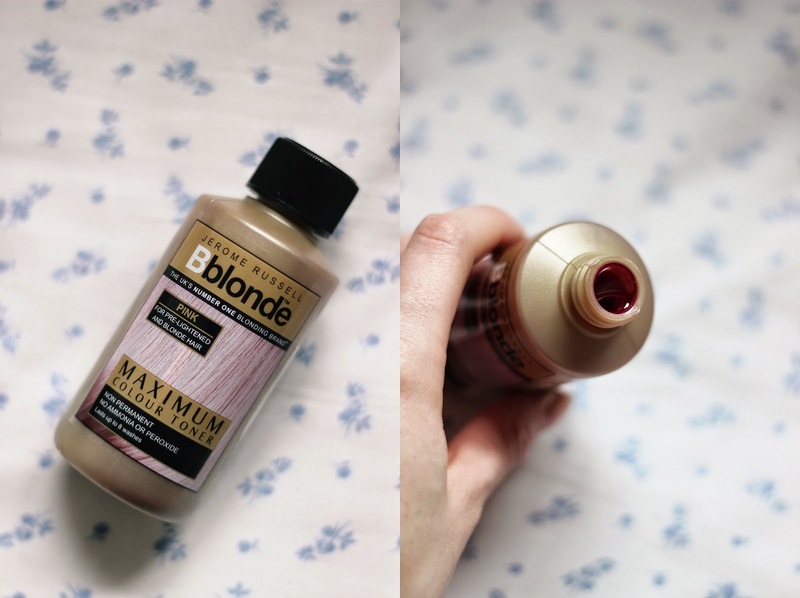 So when the lovely people over at Jerome Russell (the no.1 blinding brand) contacted me to see whether I would like to give their "Maximum Colour Toner in Pink" a whirl I couldn't be more intrigued, to test it out. 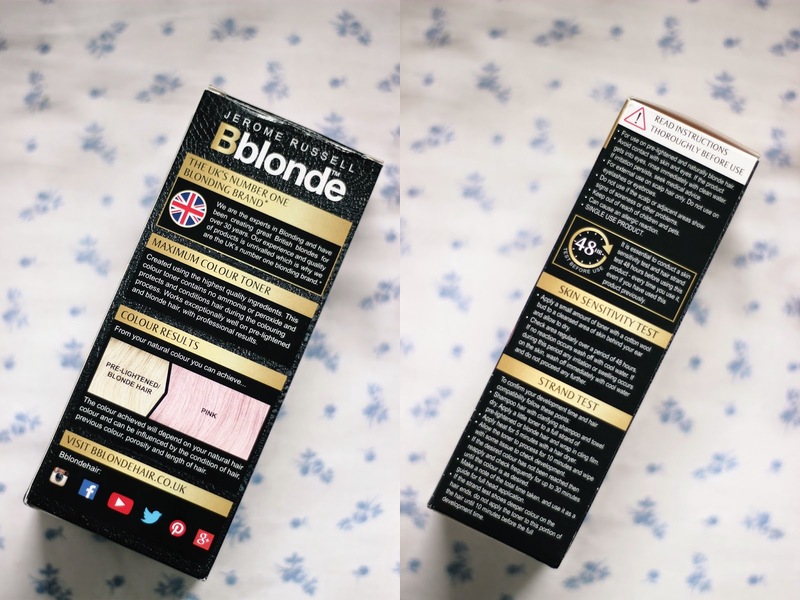 I honestly found the product easy to use with a tint brush, to ensure I achieved an even application which I then massaged into my scalp and through to the ends of my hair. Formula wise it has a medium-thick consistency, that isn't extremely runny therefore not splashing everywhere. Although, like if I was to use any other hair dye, newspaper is recommended to save your bathroom floor (and cleaning up). Now the real test is the before and after (see photo below), in the photo there is a slight difference in the colour. However in real life I have found the colour it is a lot more vibrant and evenly toned, I have found it has counteracted some of the orange tones in my hair with more of a blue toned pink. 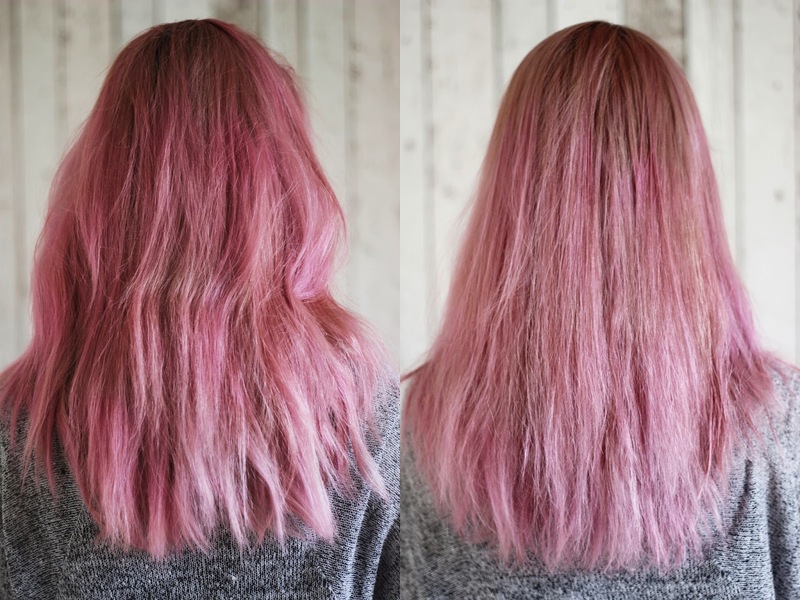 In fact I have found that it has worked best on the ends of my hair (the most absorbent and damaged), as they are a lot more pinker than before, and have a 'candy floss' hue to them-which I love! It has also made my hair really shiny, and glossy which is a huge plus. Overall I am happy with how the product has enhanced my pink-ness and added shine to my locks, in just 30 minutes! Be sure to check out their website (link), to see if there are any products that take your fancy. Now my hair is light enough, I really want to give this a try!! !